Countless lakes, sloughs, and ponds are scattered throughout this scene of the Yukon Delta in southwest Alaska. 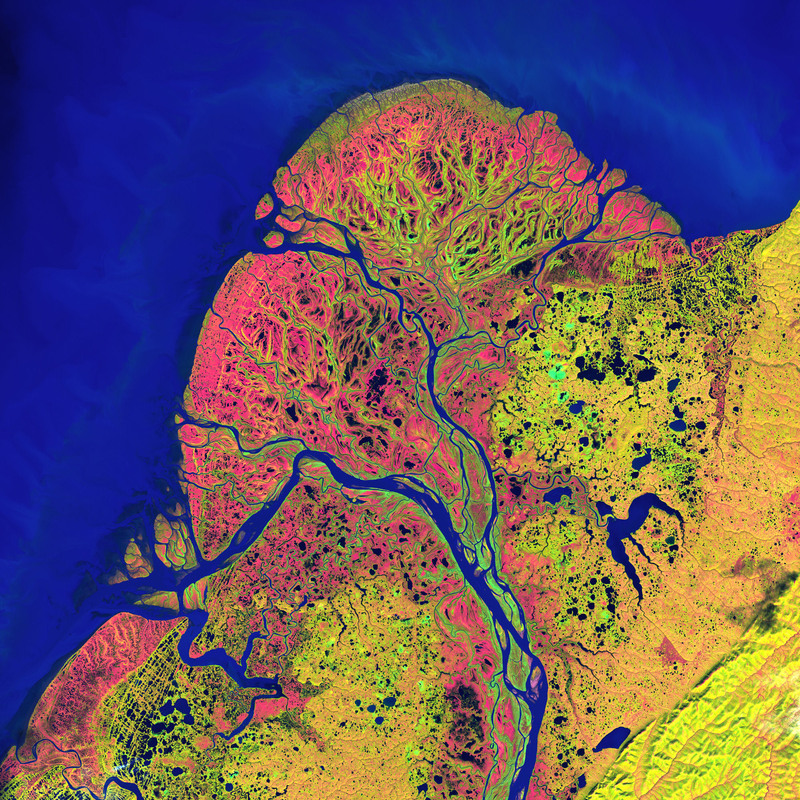 One of the largest river deltas in the world, it is protected as part of the Yukon Delta National Wildlife Refuge. Posted in Big Picture, Photography | tagged Alaska, color, delta, Earth, Earth from Space, nature, rivers, science, sea, space, water. The permalink.